As everyone knows, hurricane Harvey struck Houston, the 4th largest city in the United States, last week. Apart from its obvious devastation, initial reports said Harvey had caused at least 12 deaths across an area that is home to more than 6 million people. What most don't know is that on the other side of the world, in Bangladesh, India and Nepal people are currently experiencing 100 times the initially reported Houston death toll. There torrential rains have killed more than 1200 people and wreaked havoc in the lives of up to 40 million South Asians living in those countries. One third of Bangladesh is currently under water. At the same time, researchers at the Massachusetts Institute of Technology have recently published a warning that the parts of Asia just referenced (as well as Pakistan) will soon become uninhabitable for its 1.5 billion residents because of rising temperatures. Incessant heat waves will soon make it impossible for peasant farmers to work their fields. The predictable result will be famine and unimaginable loss of life. Despite such climate events and dire warnings, there are three terms Americans will scarcely hear mentioned in media reporting of these disasters. The first two are "climate change" and "profit." The third is especially relevant to a Sunday homily like this. It is a person's name. The name is "Pope Francis." 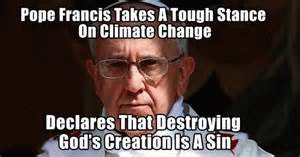 In fact, I'll wager that this Sunday you'll not hear him or his encyclical Laudato Si' (LS) mentioned in connection with Hurricane Harvey even in most Catholic Churches. And that sad fact (despite Pope Francis' brave efforts) simply underlines the irrelevance to which the church has been reduced. In fact, far from admitting its criminal and willful ignorance, the Republican-controlled presidency and congress are moving in the exact opposite direction of that required to address super-hurricanes (like Katrina, Sandy, and now Harvey), as well as torrential flooding, disintegrating icebergs, rising sea levels, and soaring temperatures. Setting itself in opposition to the entire world, our country has withdrawn from the landmark Paris Climate Accord, and is doubling down on the production and use of the dirtiest fuels at human disposal (including coal) . Additionally, hardly a day goes by without our president threatening nuclear war. As Jonathan Schell pointed out even before most of us were aware of climate change, that event would also have devastating effect on the earth's atmosphere aggravating the climate syndrome already so well under way. So you don't hear much these days about climate chaos and the devastating effects of climate change denial. The reason? That brings me to the second culturally unpronounceable word: "profit." In fact, as Noam Chomsky points out, that word is so unspeakable that it must now be pronounced and spelled as j-o-b-s. Nevertheless, we all know, the real reason for climate denial isn't jobs, but capital accumulation. That is, corporations like Rex Tillerson's Exxon are willing to destroy the planet, rather than respond appropriately to the climate impacts of their products that their own research uncovered decades ago. Pope Francis has recognized the deception and hypocrisy of it all. And that's why his name along with climate change and profit, is unmentionable in connection with Harvey. Yet, more than two years ago, Francis wrote an entire encyclical addressing the problem. (Encyclicals are the most solemn form of official teaching a pope can produce.) Still, his dire warnings remain largely ignored even by "devout Catholic leaders" such as Paul Ryan and his Republican cohorts. Even worse, the pope's words generally go unreferenced by pastors in their Sunday homilies. "Doomsday predictions can no longer be met with irony or disdain. We may well be leaving to coming generations debris, desolation and filth. The pace of consumption, waste, and environmental change has so stretched the planet's capacity that our contemporary lifestyle, unsustainable as it is, can only precipitate catastrophes such as those which even now periodically occur in different areas of the world. 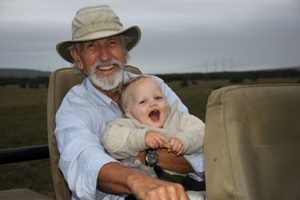 The effects of the present imbalance can only be reduced by our decisive action here and now. We need to reflect on our accountability before those who will have to endure the dire consequences." And what are the "here and now" "decisive actions" the pope called for? Chief among them is the necessity for all nations of the world to submit to international bodies with binding legislative powers to protect rainforests, oceans and endangered species, as well as to promote sustainable agriculture (LS 53, 173-175). That, of course, is exactly what the Exxons of the world fear most. Such submission threatens jobs profits. But realities much more important than jobs profits are at stake here. We're talking about the survival of human life as we know it. This is a matter of faith. It is a matter of basic decency and common sense. Series: "Sunday Homilies for Progressives"
View All 88 Articles in "Sunday Homilies for Progressives"